Dolina Mackay died 30th January 1928 aged 21. Brother Angus died 29th May 1917 in infancy. Father Thomas Mackay died at Camster Cottage 18th May 1954 aged 76. 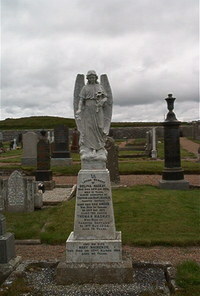 Mother Mary Mackenzie died 23rd March 1964 aged 80.